If you've got a gadget- and gear-obsessed home chef, we've got you covered. Know a kitchen gadget-obsessed home cook? 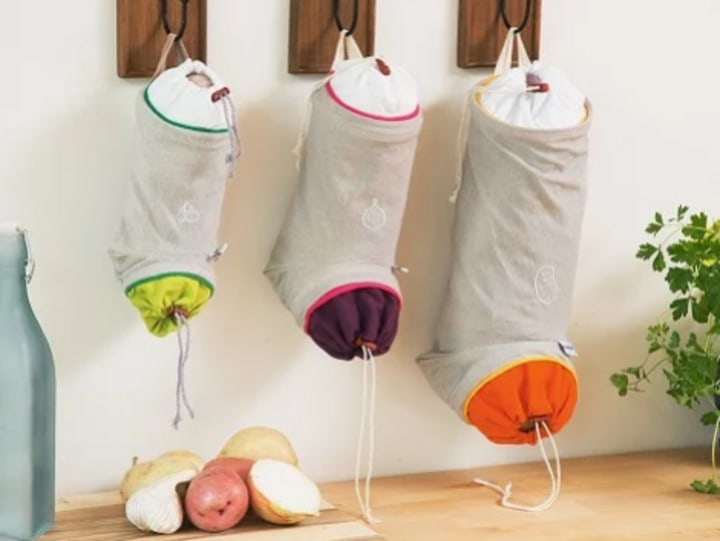 Or are you looking for gifts for chefs? We've got some incredible — and incredibly tasty — gift ideas for you. From personalized, professional chef coats and Wi-Fi-controlled slow cookers to decadent white truffle sea salt, we've got the best cooking gifts any home chef could ever ask for. Bon Appétit's Adam Rapoport and TODAY contributor Alejandra Ramos stopped by to share food gift ideas that you can enjoy, too! 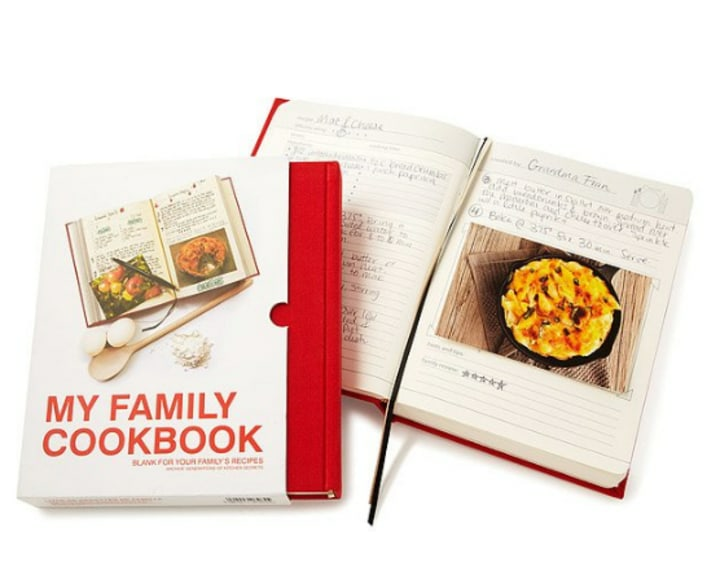 Create a family keepsake with this customizable cookbook. 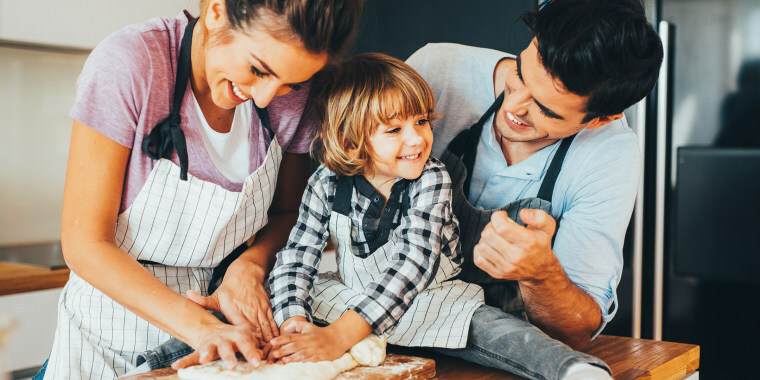 Add your uncle's secret recipes and keep track of your mom's top food hacks to ensure beloved, delicious memories endure from generation to generation. Please pass the salt! 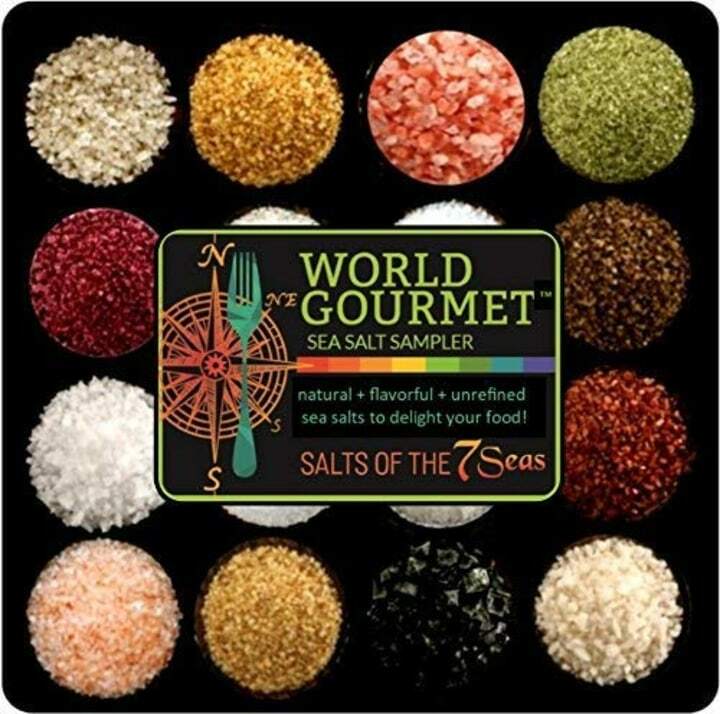 Yes, your favorite foodie will have a great time exploring this set of 16 different sea salt varieties. 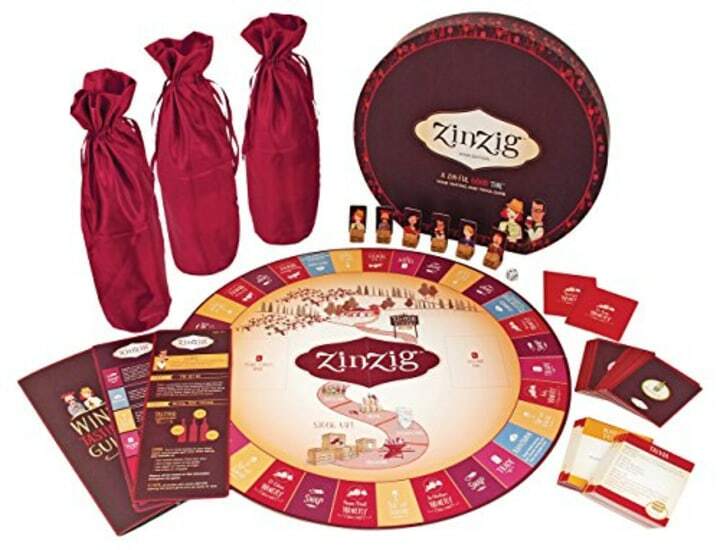 ZinZig is a wine tasting and trivia game that "will challenge your mind and palate.” Not just for wine snobs, this game is fun for all food lovers. Plus, there's wine involved. Sign us up! Help your favorite home chef emulate their heroes. This food styling tool kit comes with everything they'll need to create the fancy flourishes often seen in magazines and cookbooks. 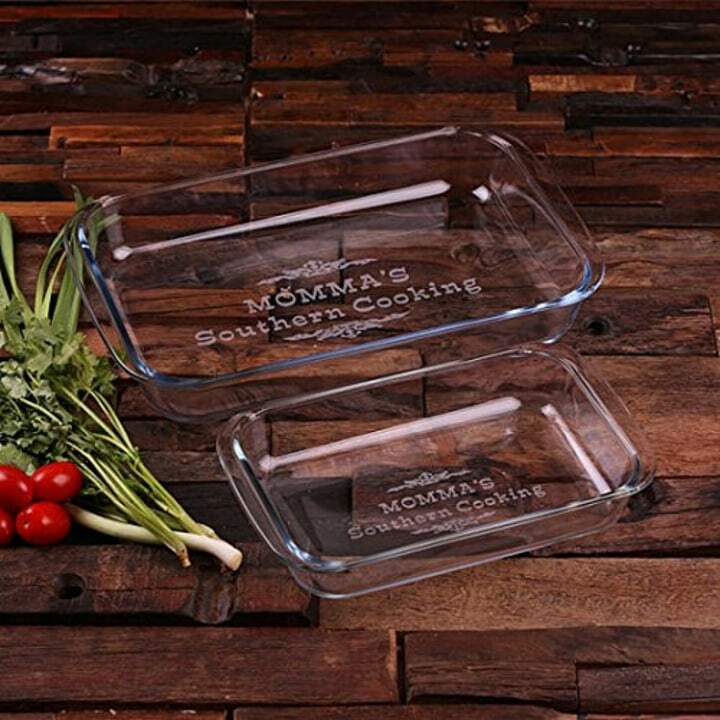 This personalized casserole dish makes sure that no one from a summer potluck “accidentally” leaves with your favorite baking vessel. A little personalization always makes a giftfeel special. 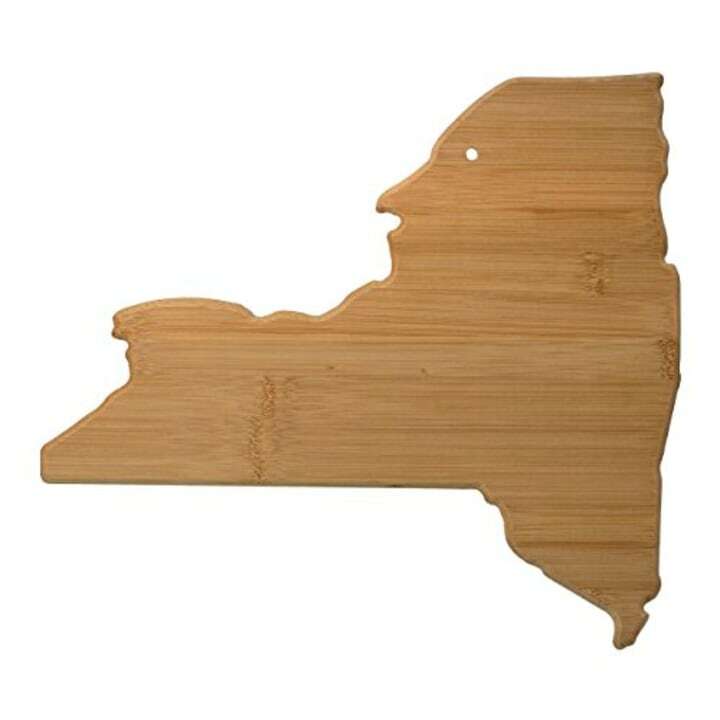 So, these state-shaped cutting boards are a fabulous way to make someone feel loved. Plus, it's made from eco-friendly bamboo. 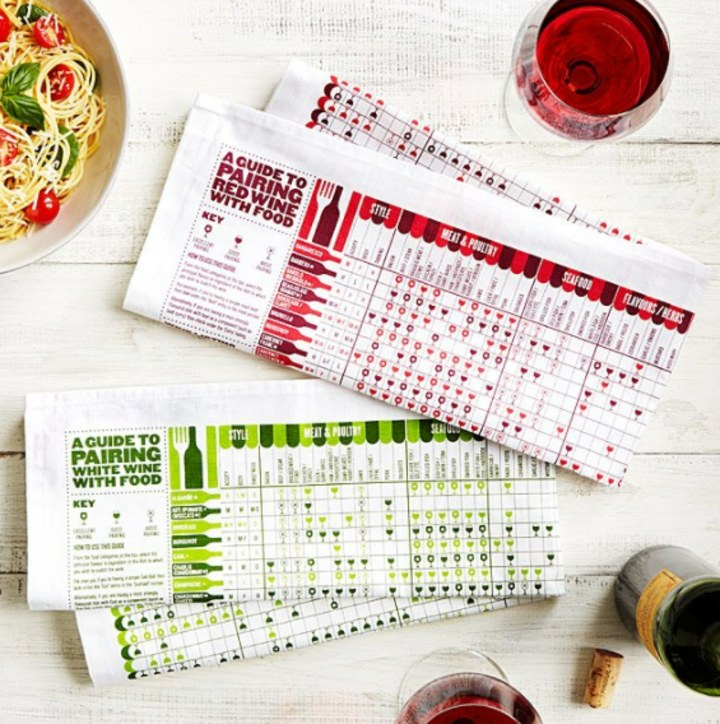 Consider these kitchen towels as little cheat sheets when it comes time to picking the right wine. These hard-working towels list more than 68 popular wines and 56 different foods for more than 3,800 potential pairings. We'll toast to that! 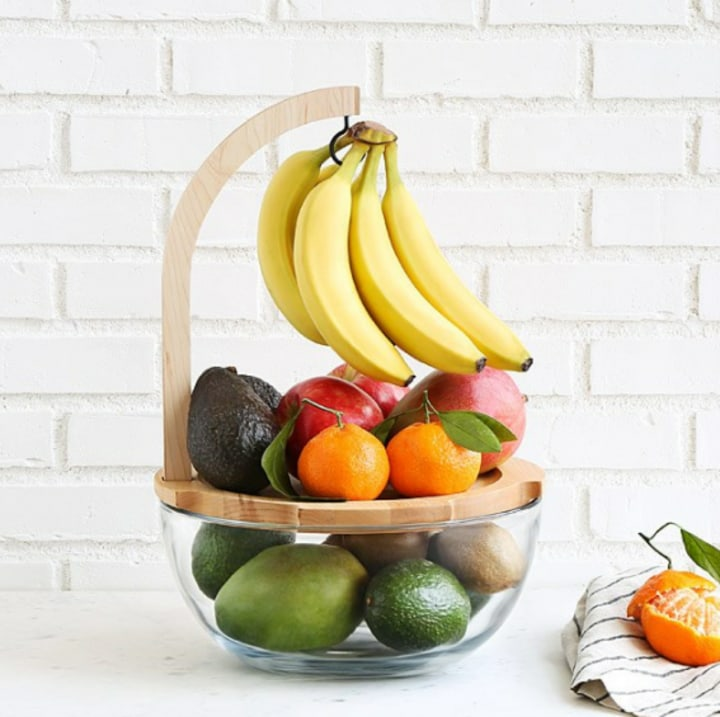 Organize fruit by ripeness with this fabulously designed fruit bowl that celebrates both form and function. Hang bananas on the built-in hook to encourage even ripening, store ready-to-eat fruit atop the maple tray and coax the not-quite-ripe in the vented glass bowl. 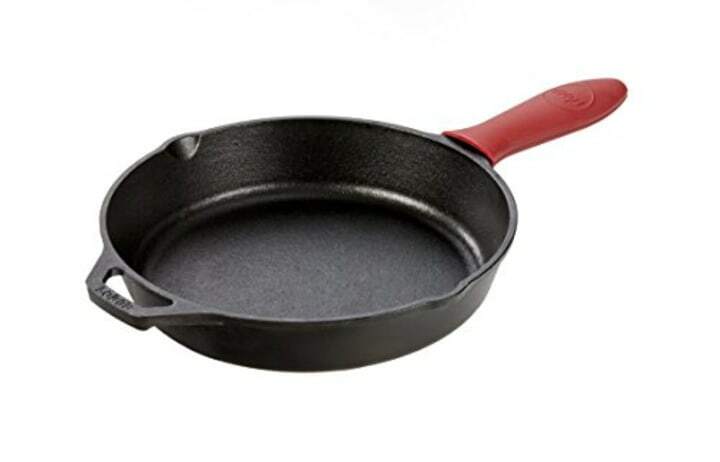 This item might be a bit of a splurge but a good quality cast-iron skillet is a must-have for every kitchen. Boy, do we love this festive red number from Le Creuset. It boasts even heat distribution over it’s 10.5-inch circumference. 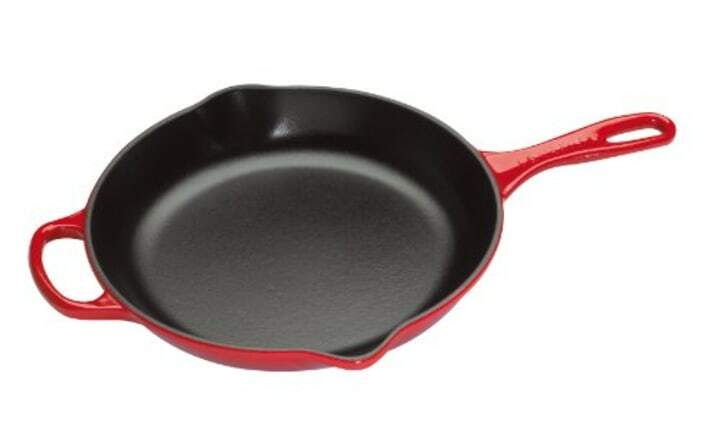 If you're looking for something more affordable than the Le Creuset, this classic Lodge cast-iron skillet is a great option. 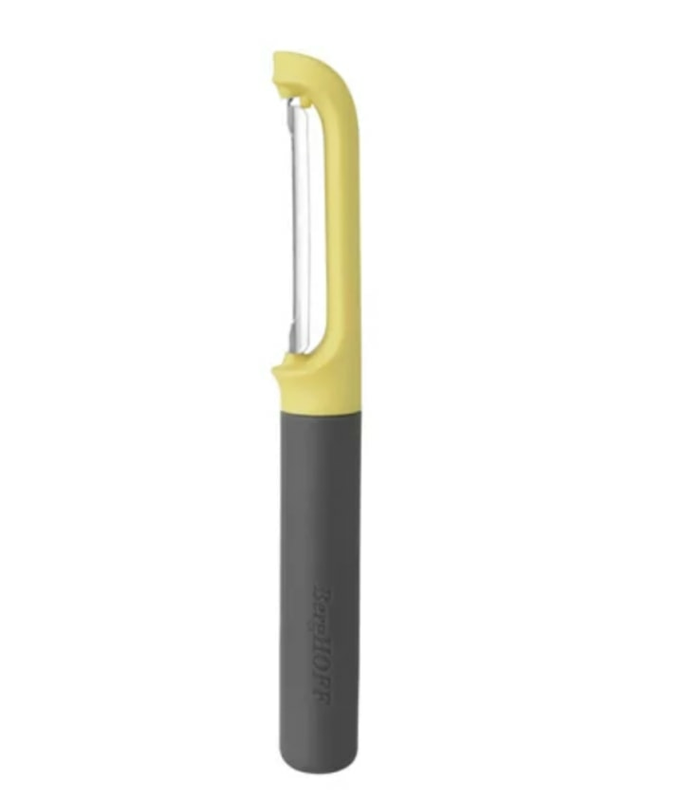 It even comes with a cheery red silicone handle holder. Whether sweet or savory, fondue is always a festive dish. 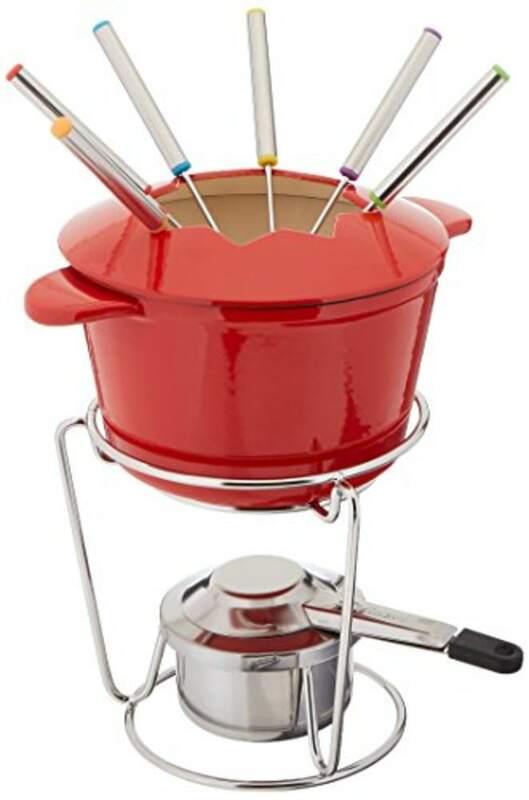 Gather peeps around this red cast iron fondue set to enjoy some cheesy delights, or fire it up for an action-packed dessert with warm, melted chocolate. You know what your very own "Top Chef" needs? 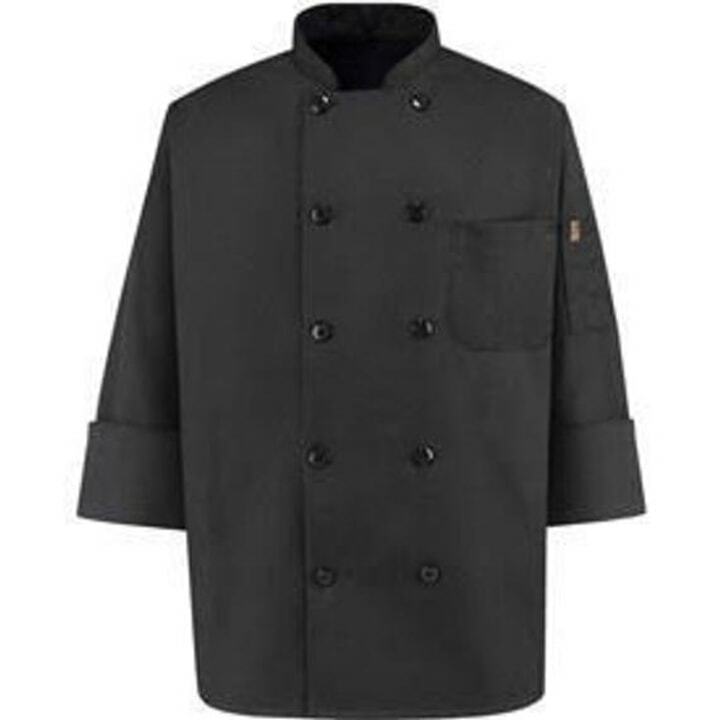 Their very own professional and personalized chef's coat to let everyone know who's the real boss of the kitchen. 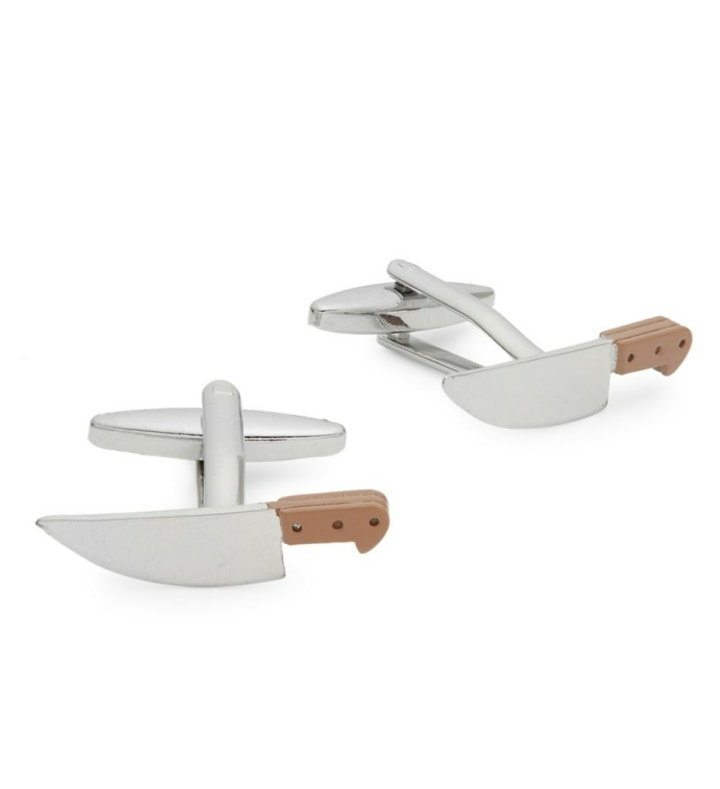 We couldn’t resist these tiny little knife cuff links. The sharp dresser (pun intended!) 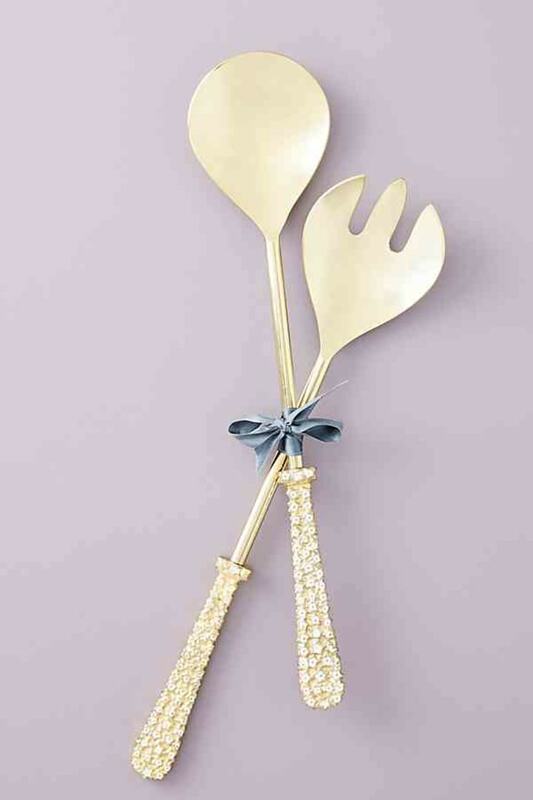 in your life will certainly get a kick out this cute accessory. 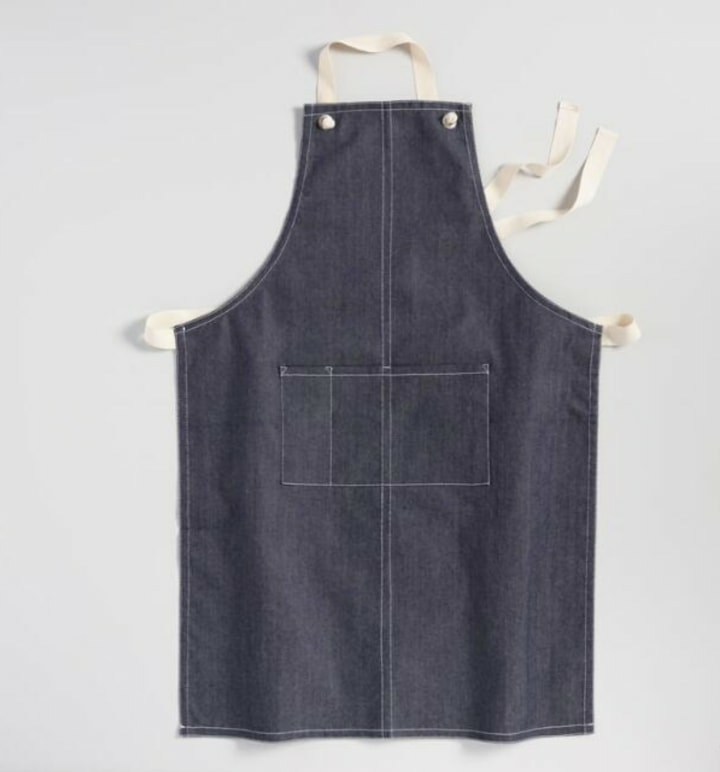 This handsome and rugged denim apron is just perfect for the handsome and rugged chef in your life. It’s never too early to get little ones cooking in the kitchen! 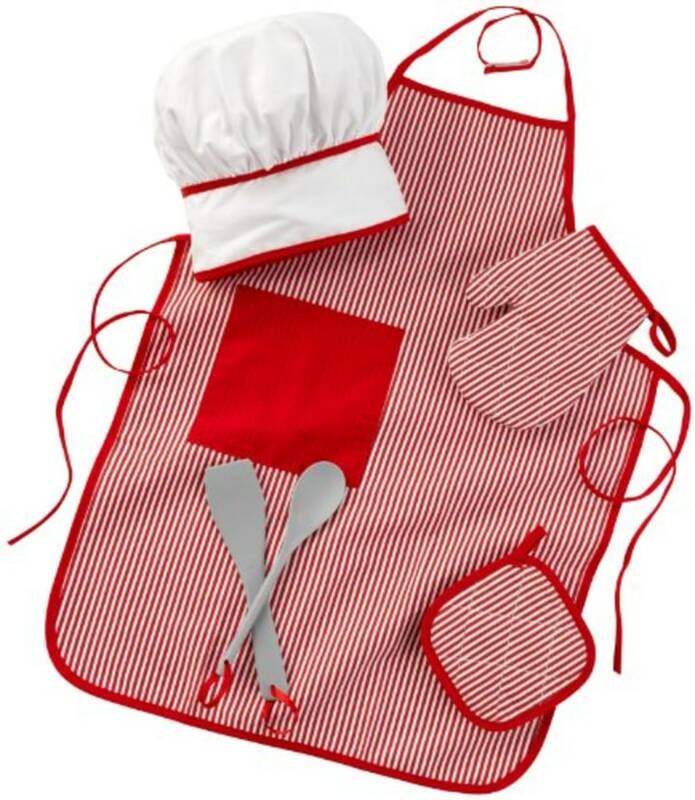 This adorable KidKraft chef accessory set guarantees that your tiny chef looks their cutest while learning the ropes. Calling all culinary cuties! This mini-chef ensemble couldn’t be more adorable. 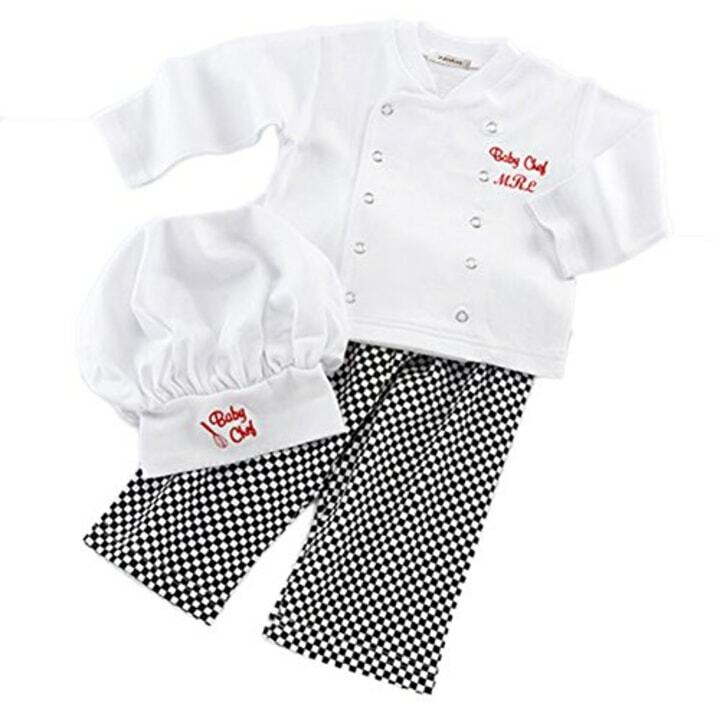 From the jaunty toque to the black and white checkered pant to the soft cotton chef’s “coat," your tiniest food lover will look like a pro. 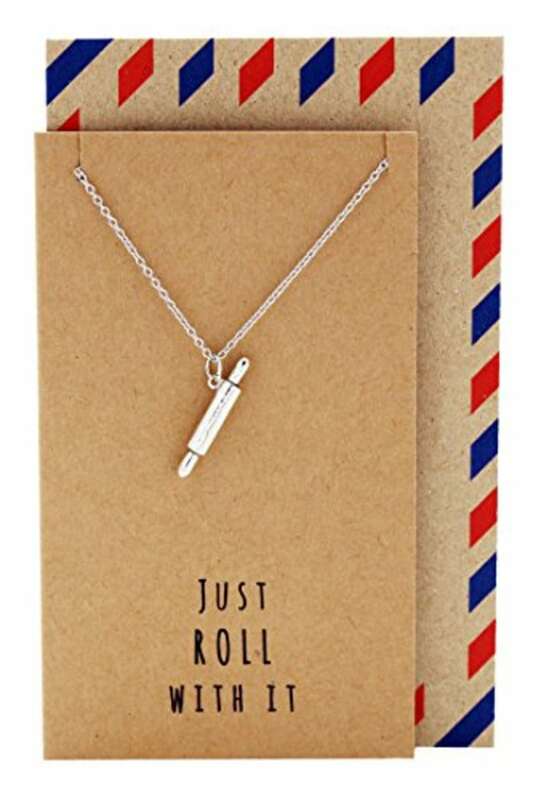 This handcrafted pewter necklace with a rolling pin charm reminds the bakers on your list to “Just Roll With It." Plus, it comes with a handmade quote card and gift envelope. 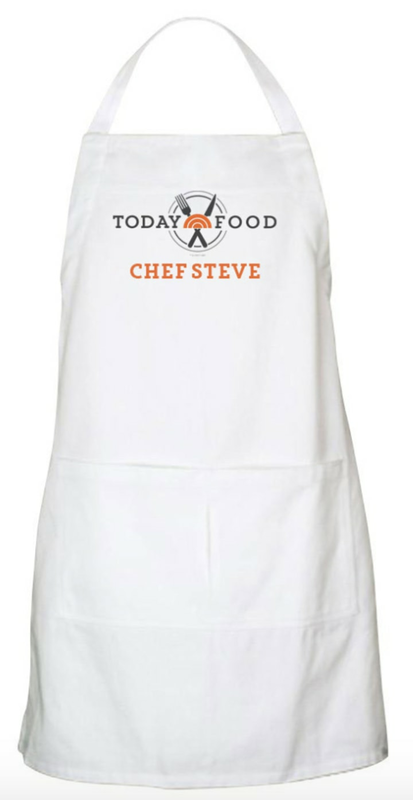 Give your favorite chef the full professional look with this personalized apron. 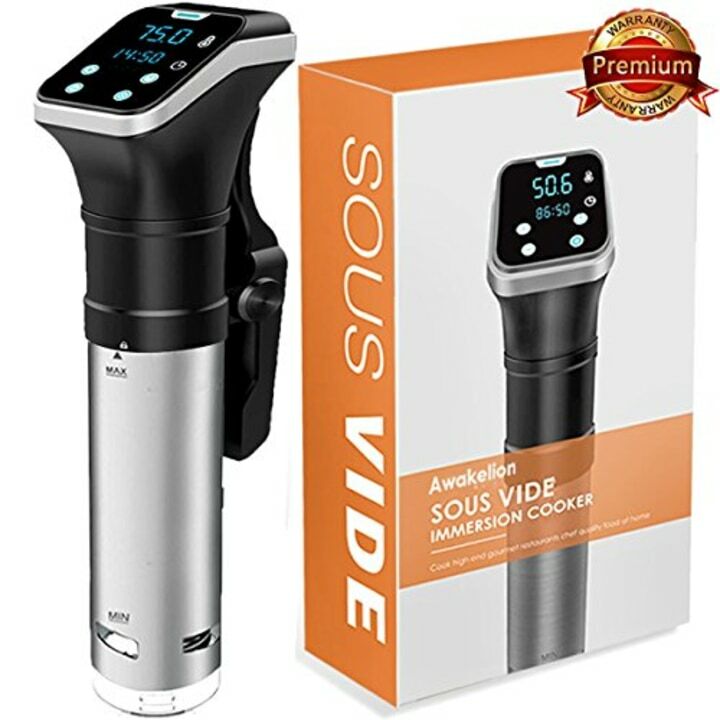 For the home chef looking to hone their finer cooking skills, this sous vide machine will do the trick. 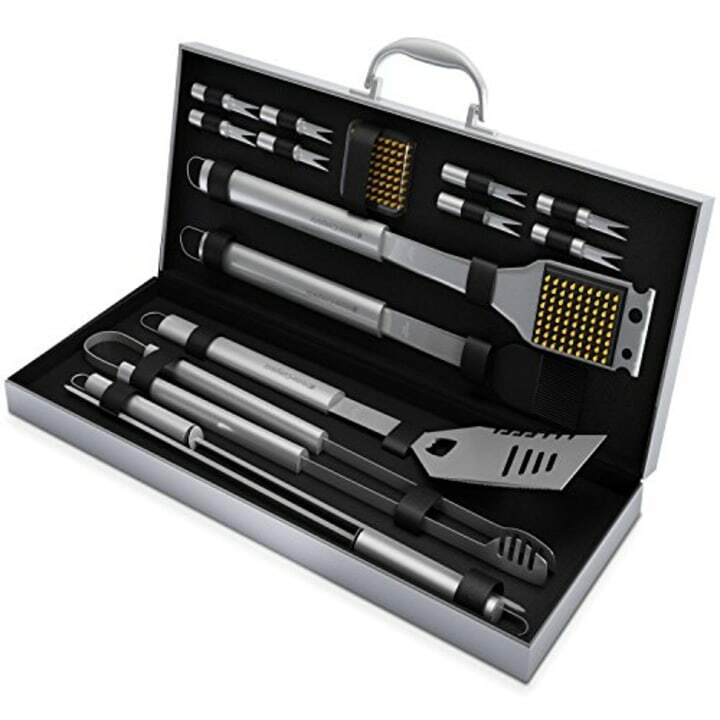 The kit comes with everything a cook needs to deliver juicy, flavorful foods that will taste just like they came from a Michelin-starred kitchen. This slow cooker is, quite literally, genius since any home chef can control it remotely from a smartphone. Whether at work or at the gym, your favorite foodie can check in on how their food is doing — now that's cooking for the modern age. 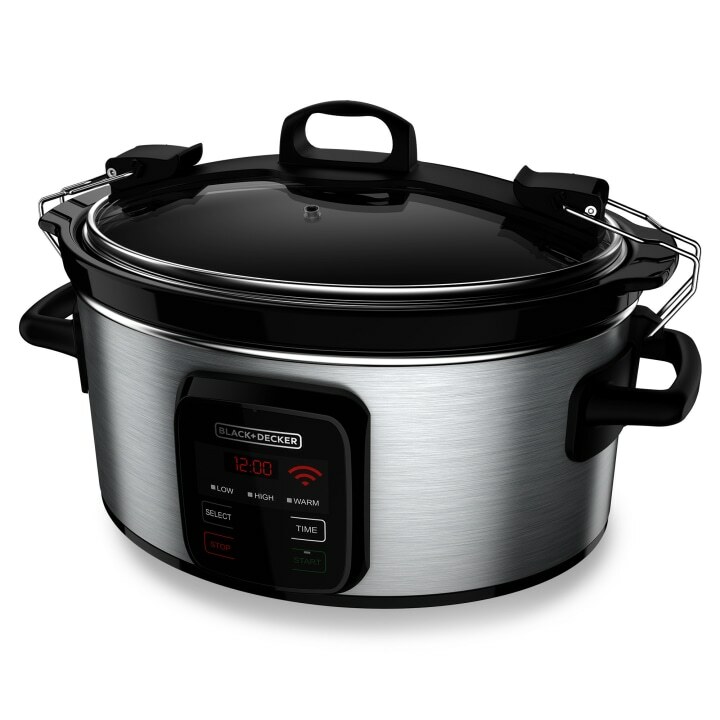 For more crock-pots and slow cookers we love, check out our list of favorites! A healthy french fry? Bring it on! 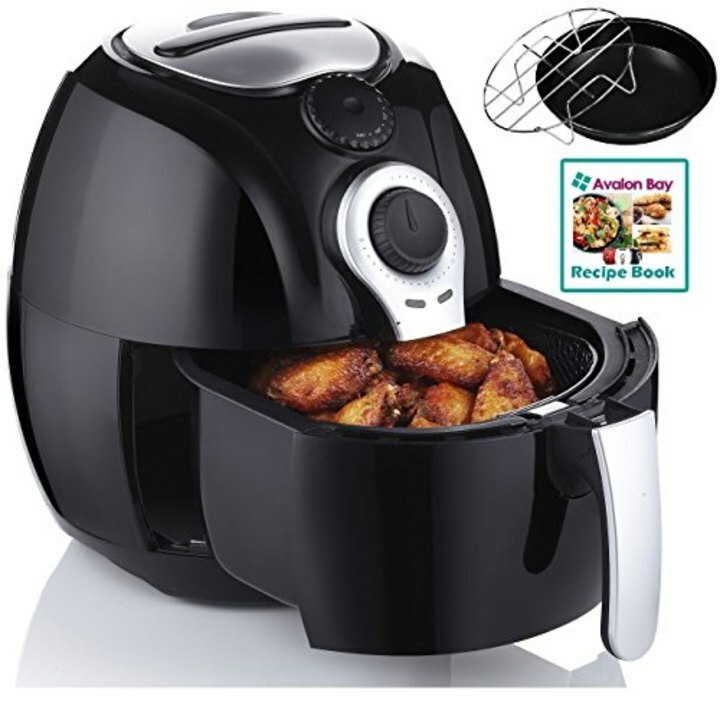 You don’t have to be a foodie to appreciate this air fryer. Thanks to air circulation technology, this oil-free wonder delivers fried foods with up to 80 percent less fat than typical fried foods. 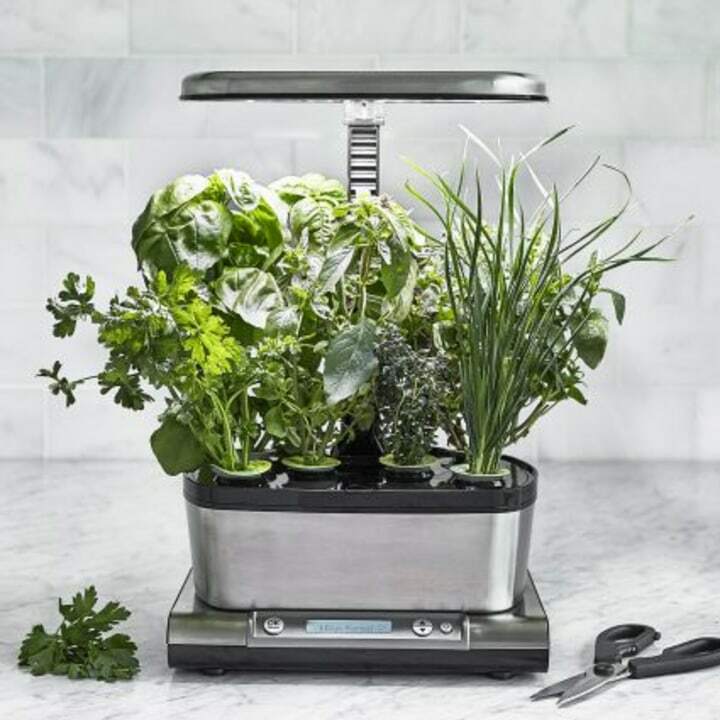 They don't need a green thumb to grow fresh herbs with this “smart” LCD light garden. The AeroGarden can be controlled via Wi-Fi with its app. Plus, you'll even receive alerts for when it's time to add water, adjust the lights and more. Yes, now you can garden from across the country. For the pit master in your family, these professional-grade grill tools really deliver. They even come in a stainless steel, very official-looking carrying case. These hand-painted and hand-carved serving pieces are an elegant idea for the cook who cares as much about a food’s presentation as the taste. We also love the idea of tying the two pieces together with a pretty bow for a festive presentation. Peelers aren't usually the most beautiful tools in the drawer, but we find this one very appealing. In fact, it's so good-looking that we might not mind helping our favorite chef with a little prep work before the big holiday meal. This year, make sure that grandma’s cookies get the credit they deserve! A personalized, laser-engraved rolling pin with her name on it should do the trick. Now everyone will know exactly who made those delicious treats. 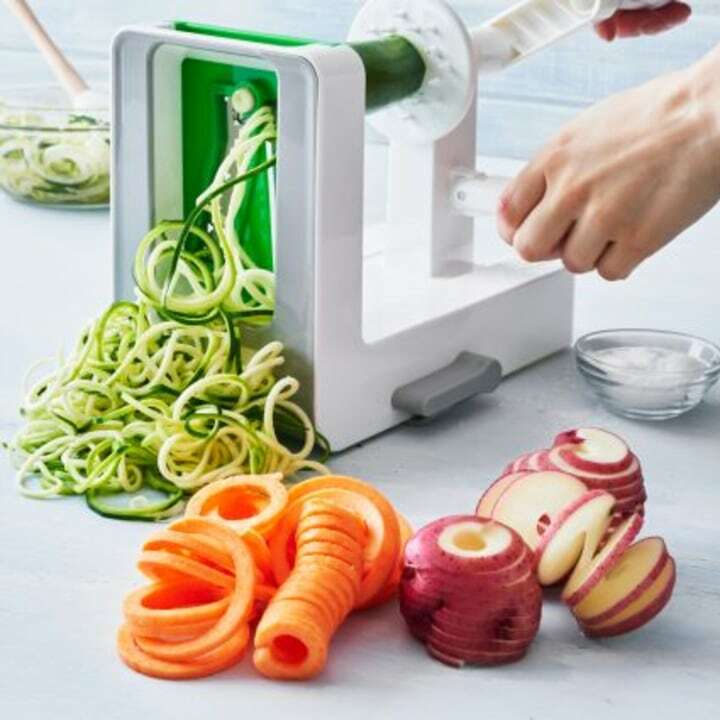 The tabletop spiralizer will surely come in handy on Jan. 1 when pasta (and other carbs) are likely to go on the naughty list. Don't worry, we promise zoodles are just as delicious! 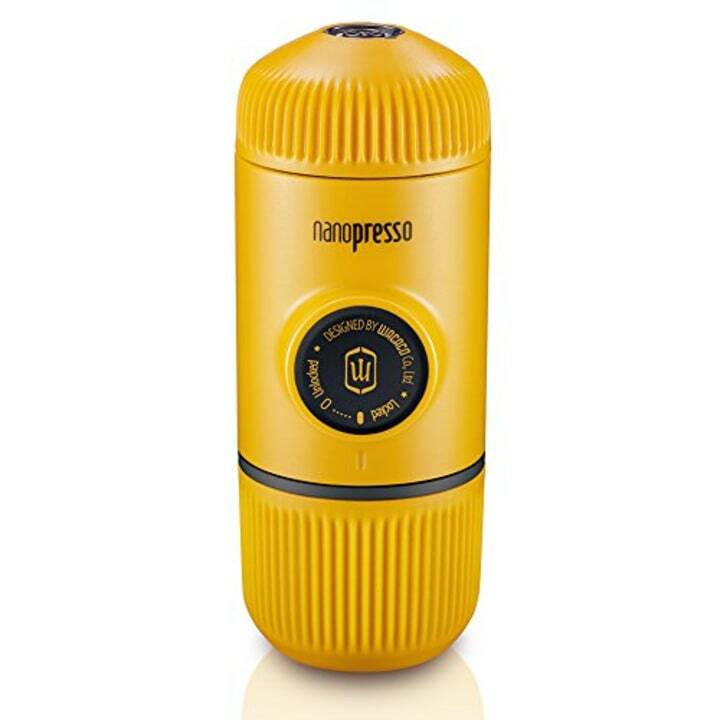 If you’ve got a gadget obsessed cook in the house, then this little number might be a truly welcome surprise. 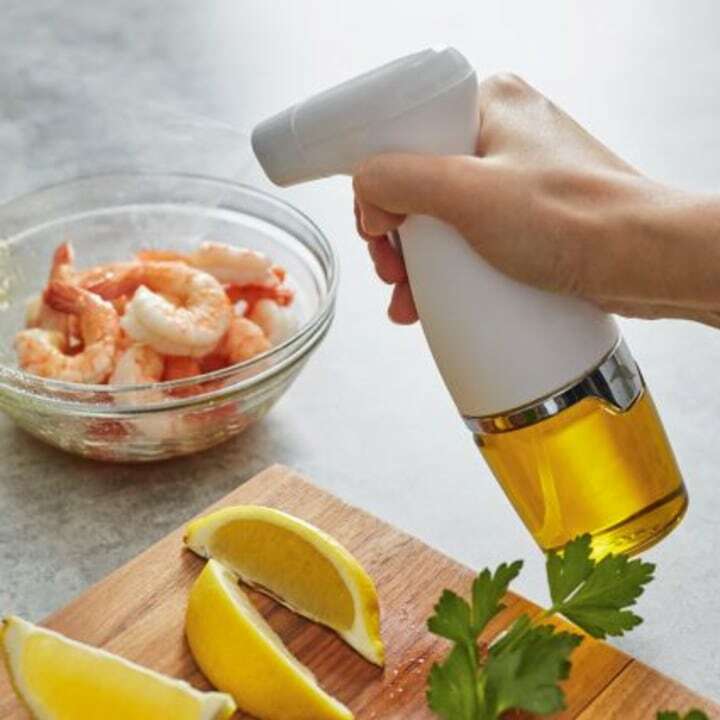 This clever mister delivers a fine spritz of whatever oil your chef is trying out these days. There are regular timers ... and then there's the triple timer. 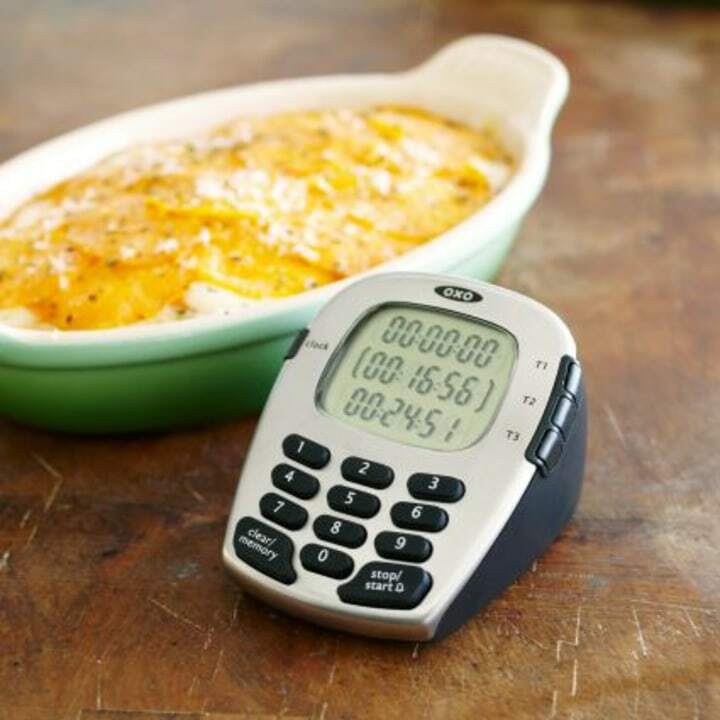 This digital wonder lets your multitasking chef set up to three different cooking times at once. 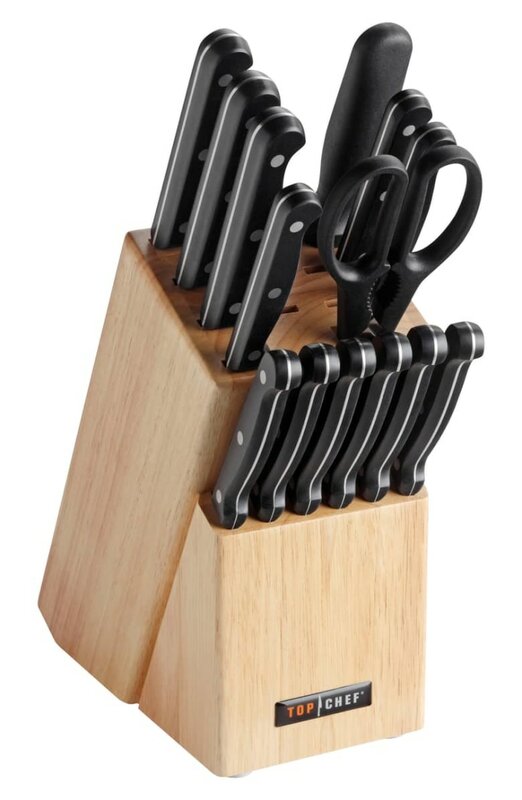 Slice and dice like the pros on the hit Bravo series with this "Top Chef"-licensed knife set. The 15-piece block comes with all the tools any home chef needs to keep their kitchen game sharp. Look no further for the wine lover on your list. 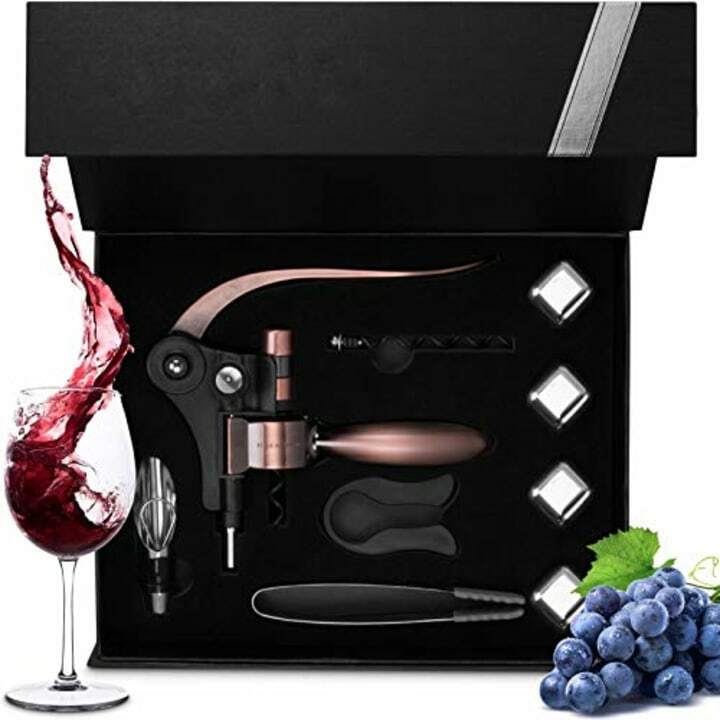 This kit will delight even the most serious of connoisseurs — it includes the brand's famous no-struggle instant wine opener, a wine aerator, foil cutter and whisky stones for an instant chill — all nestled in an elegant gift box. 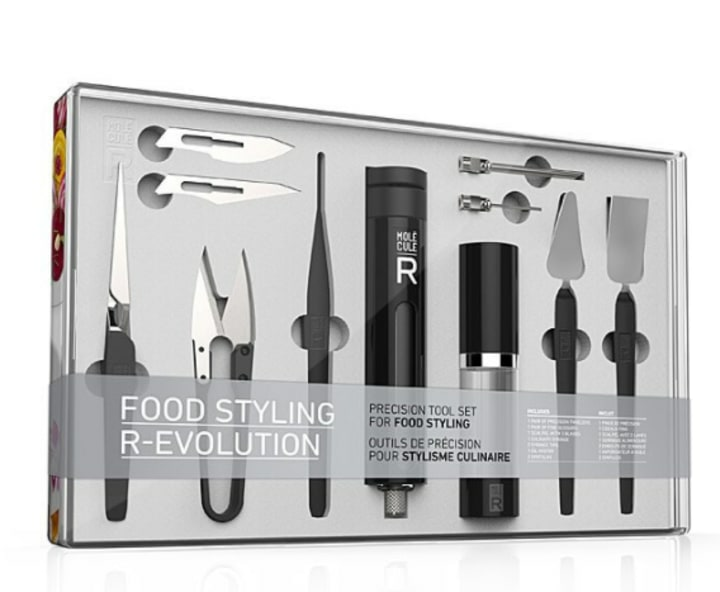 If you have been searching for a gift for the chef who has everything, look no further. Onion goggles are the answer. 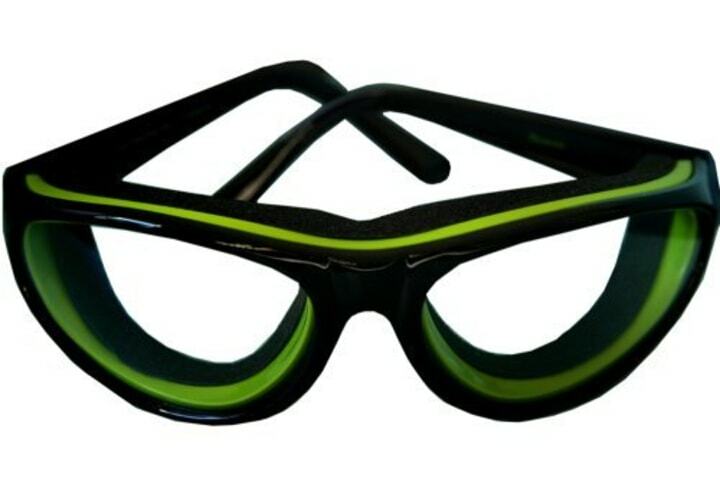 These fog-free goggles protect their eyes from irritating onion enzymes, keeping the home chef tear-free and ready to slice and dice like a pro. 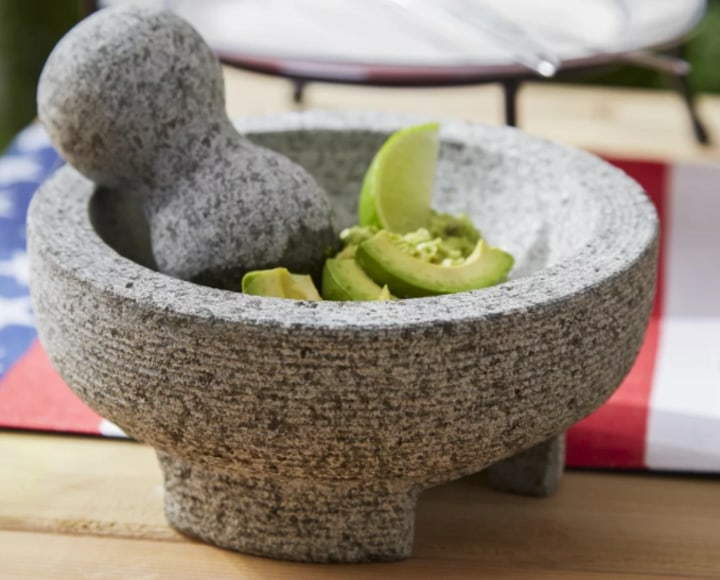 Get ready to rock some guac with this two-piece mortar and pestle set. Made of granite, it also provides the perfect surface to expertly grind herbs and spices. 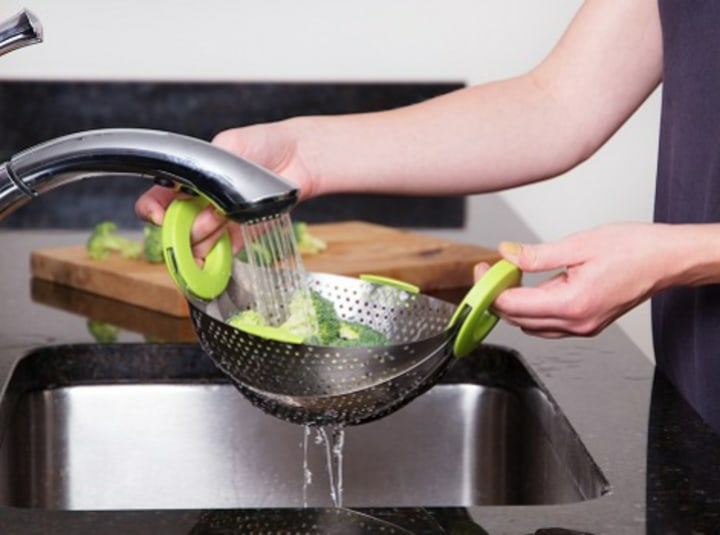 Strainers traditionally take up a lot of valuable shelf and drawer real estate, that is until now. This beauty collapses to a tenth of it’s size for easy storage. 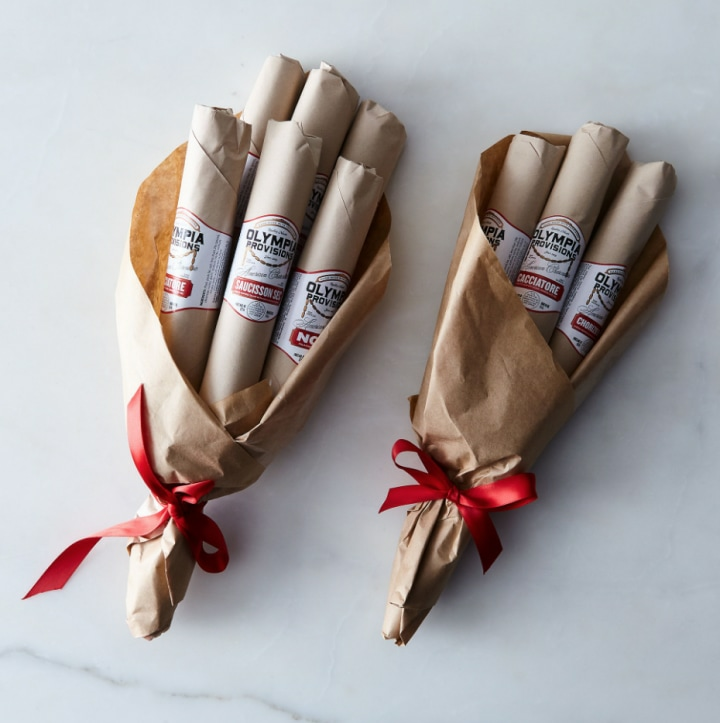 A bouquet of flowers is nice, but you'll really wow the foodie in your life with this unique bouquet of salamis. And, unlike flowers, they'll still be good after a few days! 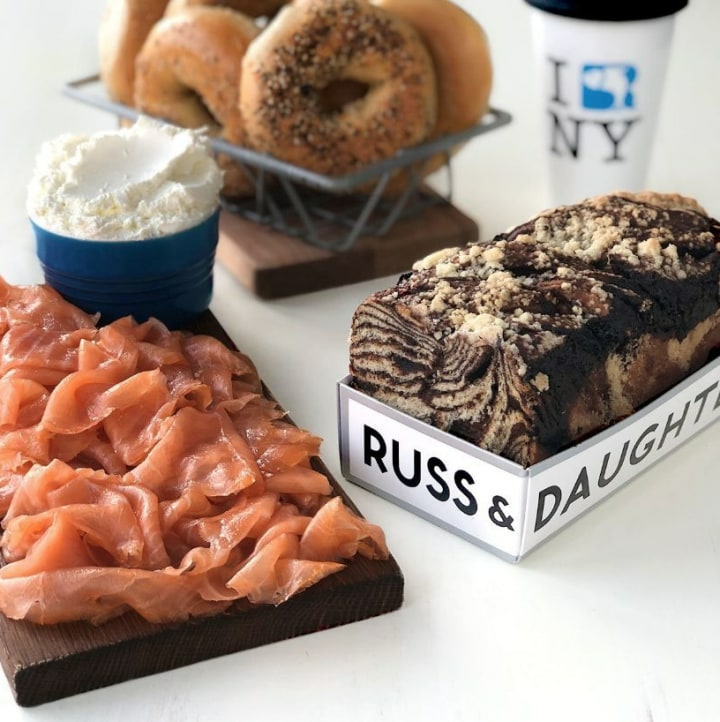 Have brunch in bed with this package of bagels, smoked salmon and cream cheese, along with chocolate babka and coffee. Perfect for a small gathering, this feeds up to six people. This will definitely be the tastiest club you've ever been in. 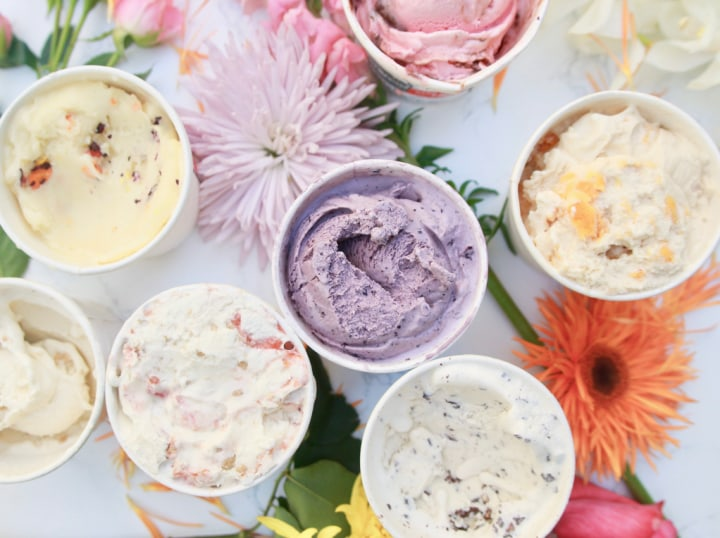 Get five seasonal ice cream flavors delivered to your door each month with this subscription. We all have that one friend who loves cheese — maybe it's you! 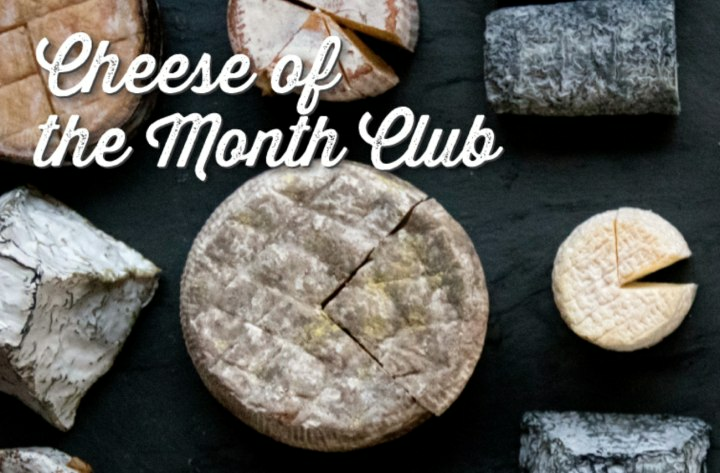 Treat them (or yourself) with this box of three mouth-watering cheeses each month. We couldn’t resist this adorable hot chocolate on a stick ... and neither will your favorite foodie. 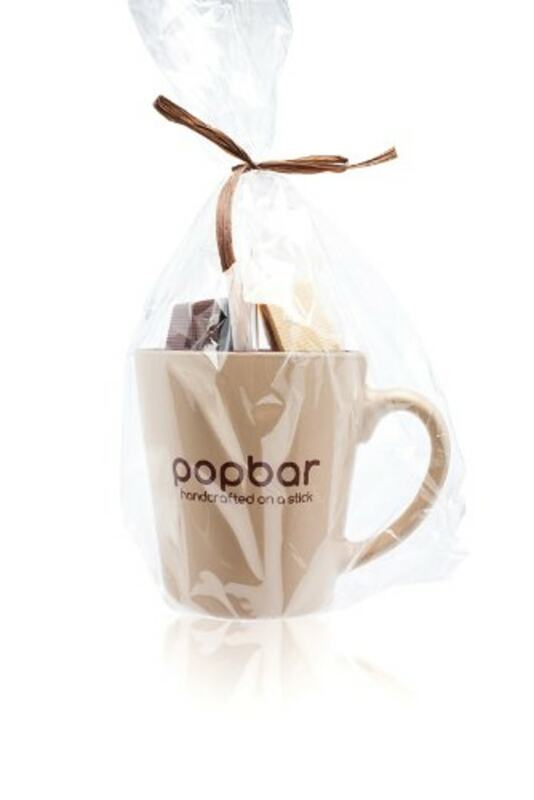 Premium chocolate paired with a simple set of instructions creates one incredibly decadent cup of cocoa. Simply swirl it into steamed milk or water for unparalleled yumminess. 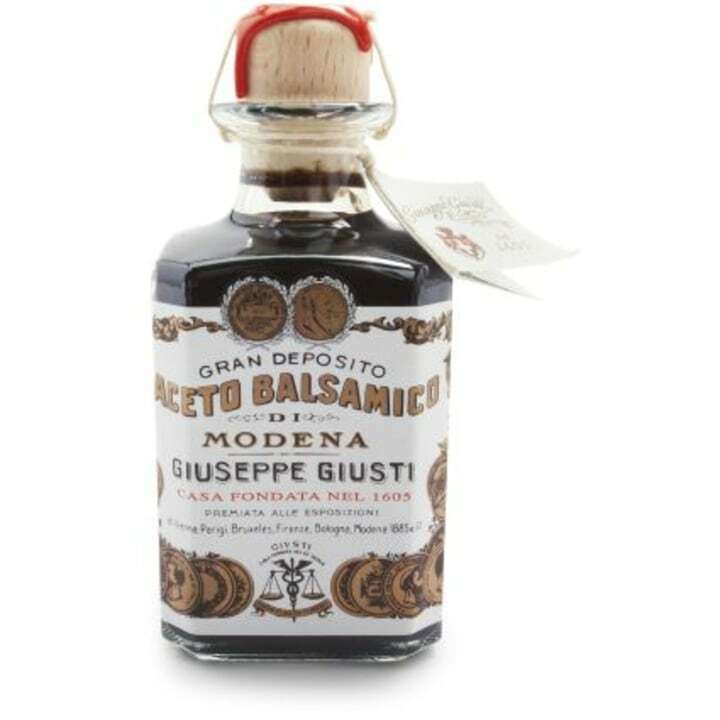 For a next-level savory sensation, Giuseppe Giusti balsamic vinegar can’t be beat. Aged in the barrels of the famous Giusti cask deposit, this rich, bodied vinegar delivers both sweet and sour decadence to veggies, meats and, of course, salads. 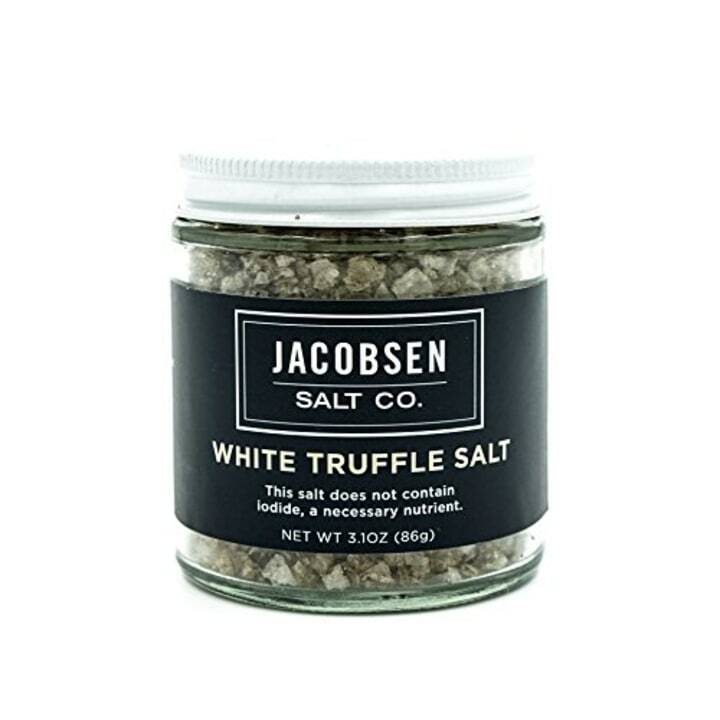 We know, we had you at “truffle.” But seriously, this white truffle-infused sea salt lives up to the hype. The rich, earthy and fragrant seasoning adds depth and sophistication to anything you pair it with.